The wait is over. Hondaafushi is now open and welcoming first group of guests. There are 80 villas in operation. The resort is currently in soft opening. Some of the guests have already arrived the resort. More arrivals are expected in the coming days. Hondaafushi is an amazing 4 star resort that is completely fresh and new. After long delays the soft opening may come as a surprise for many. Many Germans have been impatiently looking forward for this opening. 14 January 2017: After several delays in opening the resort, now it looks like ready to welcome its first group of guests very soon. 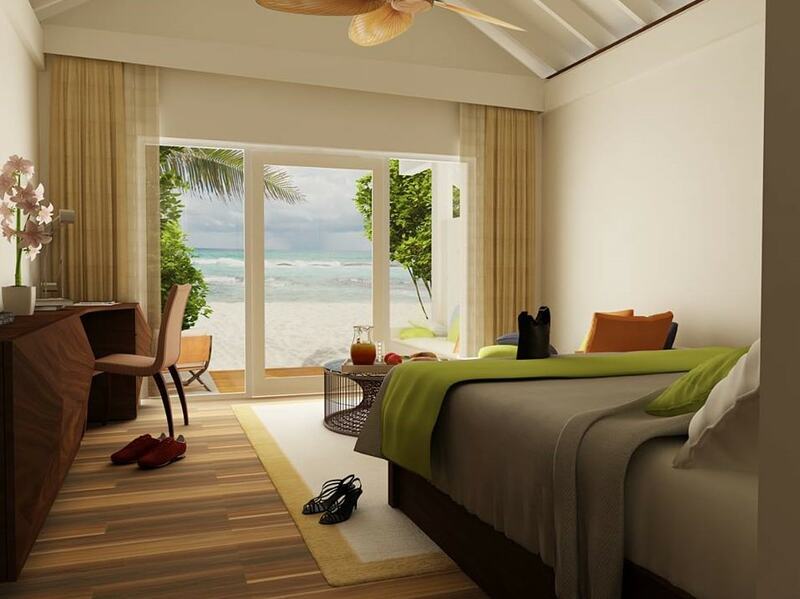 Maldives Finest was able to obtain latest photos of Hondaafushi, the resort looks fantastic. We cannot wait to go there and experience ourselves. Located in a pristine lagoon of Haa Dhaalu Atoll map, Hondaafushi measures 2km in length and 500m in width at the middle. The island retains its natural vegetation while powdery sand hugs the island from almost every direction. Gin clear waters are not only taking breath away, they are home to rich bio-diversity of the largely unexplored tourim region. 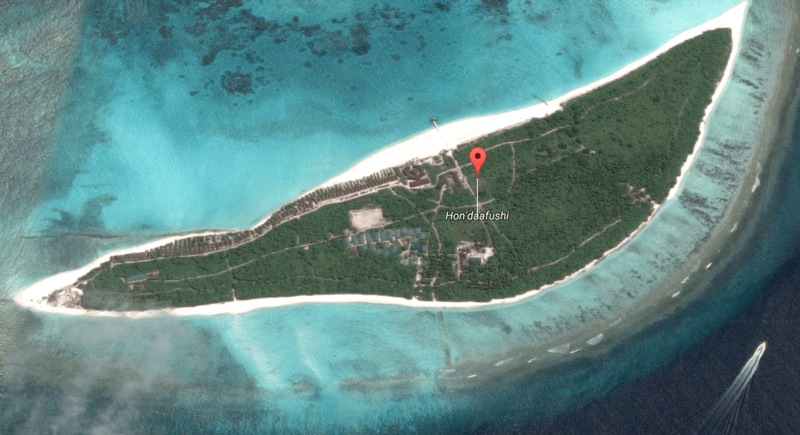 Once opened, Hondaafushi will be the first resort to flourish in Haa Dhaalu Atoll. Smiling gentlemen and ladies (sorry but most of the tourism workers are men) have held their breath for a long time as they seek employment opportunities next to their home island. Transfer to Hondaafushi is conveniently by a 55 minute domestic flight to Hanimaadhoo airport followed by 10 minute boat trip. This means gusts can come and go day and night. 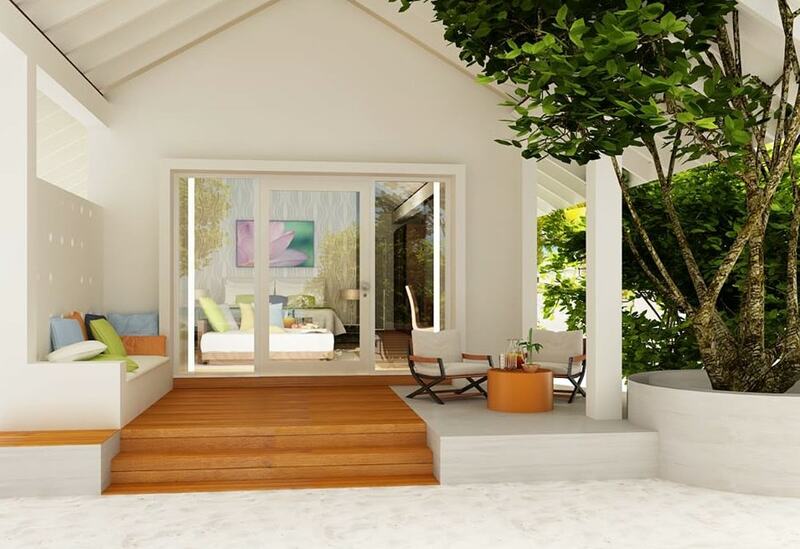 Hondaafushi consists 71 rooms which are categorized as Beach Villa. 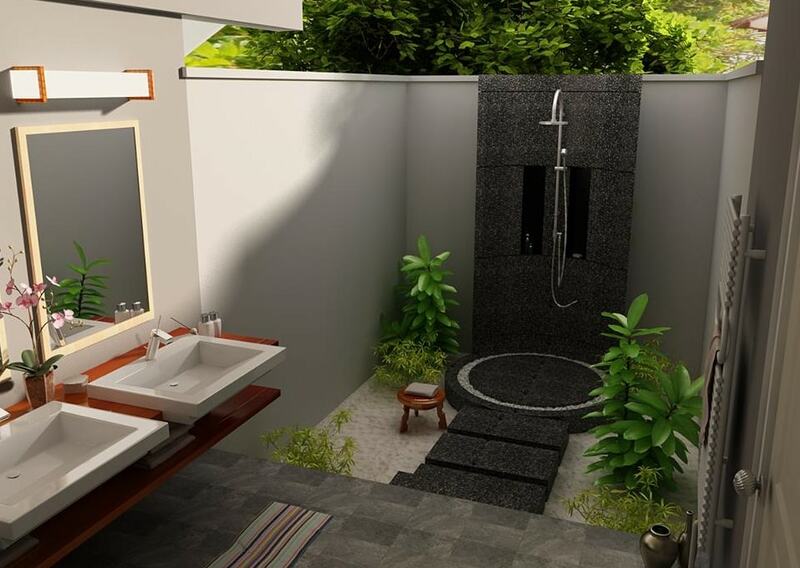 Every villa comes as an individual unit, there are no detached or semi-detached villas. The large iconic structure in middle is the main restaurant. The left tip of the island shows the bar and a la carte restaurant taking shape. Staff quarters and support facilities such as powerhouse or desalination plant are all located in the middle. Unlike other Maldives islands Hondaafushi has plenty of isolated beach locations to enjoy private moments with no one at your eye sight. Many people say Maldives is getting too expensive for the regulars who visit every year. 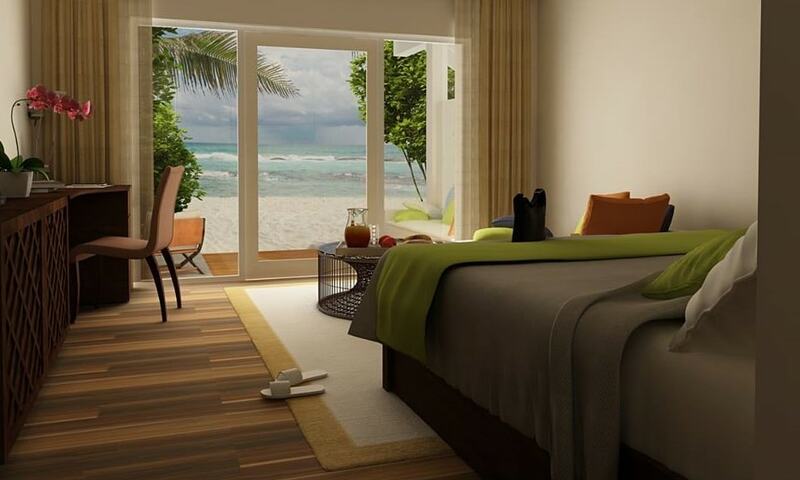 Hondaafushi is a 4 star resort with all inclusive plan. This is a resort that will likely give great value for money. Some years back I met some Germans who were visiting Maldives every year for the past 2 decades. One of them visited more than 40 times, another 25 times. The one that had 40 trips to Maldives was a retired gentleman. He had a habit of spending most of the day time sleeping under a tree on the beach. Every day he used go the very same spot. To that kind of people who were deprived of visiting Maldives due to expensive princes Hondaafushi will give a big smile. 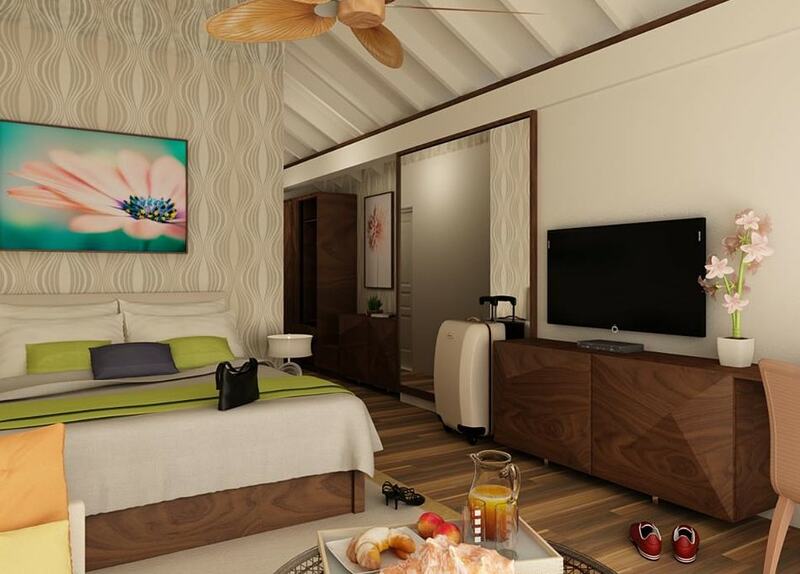 It is not just a resort that is within budget of the devoted Maldives lovers but it also comes with All Inclusive Plan which I hope will not be too expensive. I wanted to write a short blog to show you latest photos of Hondaafushi. Now it seems to have mixed up with my exceptions. Because it was a long anticipated opening. So, let me conclude this post. Don't forget to click the Share button below, your support keeps me on the move.